Another storage management firm enters the race to bid into the PJM market. When companies invest in uninterruptible power supply equipment, the investment has one purpose: to make sure the power never, ever goes out. But what if these systems could do more, while still delivering the guarantee of a constant power flow? 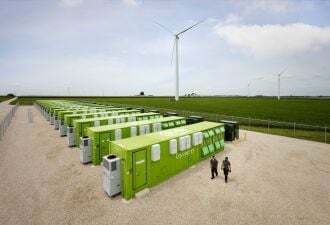 That’s the idea behind 10Six Energy, the latest behind-the-meter energy storage company that wants to help commercial clients earn money using their energy assets. Rather than use UPS systems for peak shaving and cutting demand charges, as some other energy storage companies are doing, the 10Six team wants to modify existing UPS designs to allow them to participate in the frequency regulation market. 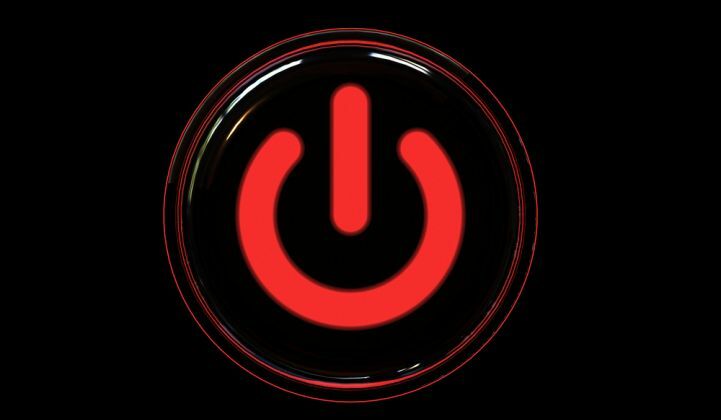 Most UPS systems are used for less than an hour per year, typically only switching on for the brief interval between the onset of a power outage and the backup generators turning on. Ndreu said the young company is in talks with several major UPS manufacturers about modifying their technology, which would likely involve switching from a valve-regulated lead-acid battery to an advanced lead-acid or lithium-ion battery. The system would also require more sophisticated controls to enable it to respond to signals from the energy market, in this case, PJM, which has the most attractive frequency regulation market in the U.S. given its size and payment structure. Although not technically challenging, the idea of fundamentally changing the role of a UPS will not necessarily be an easy sell to manufacturers or potential clients. “They’ve been engineered to be impossible to screw around with,” Ndreu acknowledged, although he thinks that manufacturers may be willing to tweak their products to offer a value-added application. The modifications would cost about 30 percent more in a new system, which is where Ndreu sees the market potential. A new 1-megawatt UPS system costs about $1 million, he says, but a modified system would probably be about $1.3 million. “But you can make back most of that [price premium] in a single year in the PJM market.” Ndreu stated that 10Six is not a hardware company; instead, it would be the software and management company that guarantees a client's UPS service while managing the connection with PJM. 10Six sees itself as fitting into the latter category, in that it wants to aggregate various assets together to bid into energy markets, similar to what Intelligent Generation is doing in the western regions of PJM. But Intelligent Generation is focused on making solar more affordable in the Midwest by leveraging storage, whereas 10Six wants to bring a second revenue stream to UPS systems. “There’s not a tremendous amount of companies saying, ‘Here’s your check. Don’t worry about it; I’ll take care of everything,” said Ndreu. Although the market is nascent, there are more energy storage management firms popping up every day, whether to take advantage of California’s energy storage mandate or to play in PJM or emerging markets such as New York. There seems to be space for various players at this time, but the frequency regulation market in PJM will not necessarily grow significantly in coming years, although prices have been rising as FERC 755 has gone into effect. Industry participants are also keeping an eye on ERCOT, which is in the process of reevaluating its ancillary services market. Ultimately, 10Six sees a market beyond just UPS systems. If electric vehicles or home storage systems become more mainstream, 10Six would like to network those assets as well, although it will find just as much, if not more, competition in doing so. In the short term, the startup (which boasts Fluitec Wind founder and cleantech entrepreneur Amar Pradhan as a founder) is looking to raise capital, as well as to land a commitment for a commercial demonstration in PJM by June. To learn more about behind-the-meter energy storage and how it's impacting energy markets and utilities, join Greentech Media at Grid Edge Live in San Diego June 24-25.